They say that food and drink are the way to a man's heart - so what better way to get to the heart of a country than thorough its national drink? We all know that Guinness is the pride of Ireland and that a cold gin and tonic is practically an English institution, but what about the rest of the world? Here we introduce you to some cult classics from all over the globe. Cheers! Made from the Brazilian sugarcane spirit cachaça and teamed with lashings of rum and sugar, Brazil's national cocktail has evolved into something of a worldwide hit. Having originally begun life as a remedy used to ward off attacks of the Spanish flu, the caipirihna has since transformed into a deliciously sweet and sour cocktail enjoyed the world over. Saude! 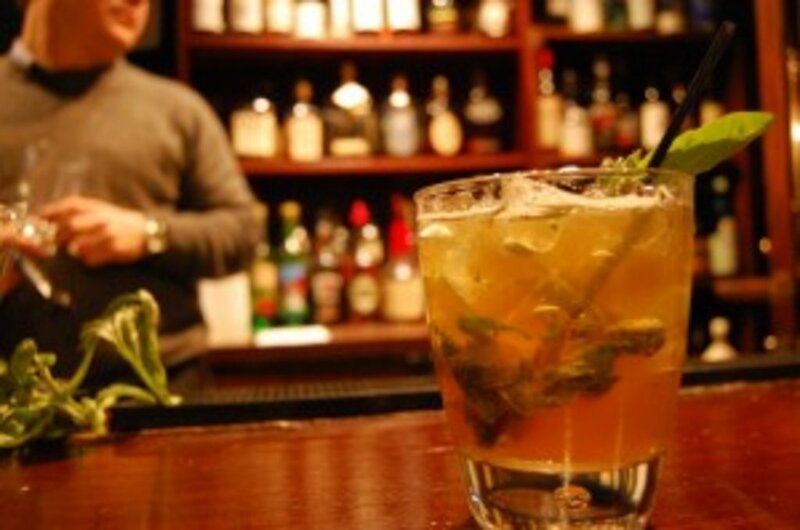 Now one of the most popular cocktails in the world, the mojito has humble beginnings reportedly dating all the way back to the 16th century. The story goes that when Sir Francis Drake sailed back to England from the Spanish New World, outbreaks of scurvy and dysentery forced the crew to dock in Cuba where the natives presented them with a medicinal drink of rum, sugar, lime and mint. All you need is a dash of sparkling water and the modern day mojito is born! Salud! Born from a group of 14th century monks living in a monastery on Mount Athos, the aniseed flavoured Ouzo is possibly Greece's biggest hit. In fact, the Greeks love it so much that in 2006, the country won the right to label Ouzo as exclusively Greek, barring any other countries from using the name! This popular aperitif is typically mixed with water - turning it and cloudy white or slightly blue - and served over ice. Iss Ighian! Loosely translated as 'fire water', Aguardiente is unquestionably the national drink of Colombia, with Antioqueño the top brand of the crop. Made from sugarcane and flavoured with aniseed, this fiery liquor is usually drunk neat, with a group of friends typically sharing a bottle and repeatedly taking shots over the course of an evening. Of course, aguardiente is found all over South America but it's in the Colombian Andes where it really reigns supreme. Salud! You may have heard of Japan's sake as 'rice wine' but the fermenting process is actually more similar to beer. Perhaps the oldest drink on the list, sake is mentioned in the Kojiki, Japan's first written history, written all the way back in 712 AD! Traditionally, sake is served in small cups at room temperature, with the label on the bottle giving an indication of nihonshu-do (the sugar content from -10 to +10) san-do (the acidity) and aminosan-do (how savoury the taste is). Kanpai! This 40% proof clear spirit has become an unbeatable classic all over the world, since its creation in the 15th century by a monk named Isidore from Chudov Monastery. Since then, it's been used as the basis for hundreds of drinks, from the Moscow Mule to the Bloody Mary. However, in Russia, no one thinks twice about knocking back a couple of vodka shots (neat, of course) and it's even considered rude not to finish your glass in one go. Jobnyem! No one really knows for sure where the classic margarita originated from, but one story goes that the Dallas socialite Margarita Sames invented the drink at a Christmas party in Acapulco, Mexico in 1948. With Hilton hotels' Tommy Hilton reportedly at the same party, the drink was quick to spread to all the right places! A simple mix of tequila, orange flavoured Cointreau and lime, the margarita was an instant hit. Salud! What's the best drink you've discovered on your travels?